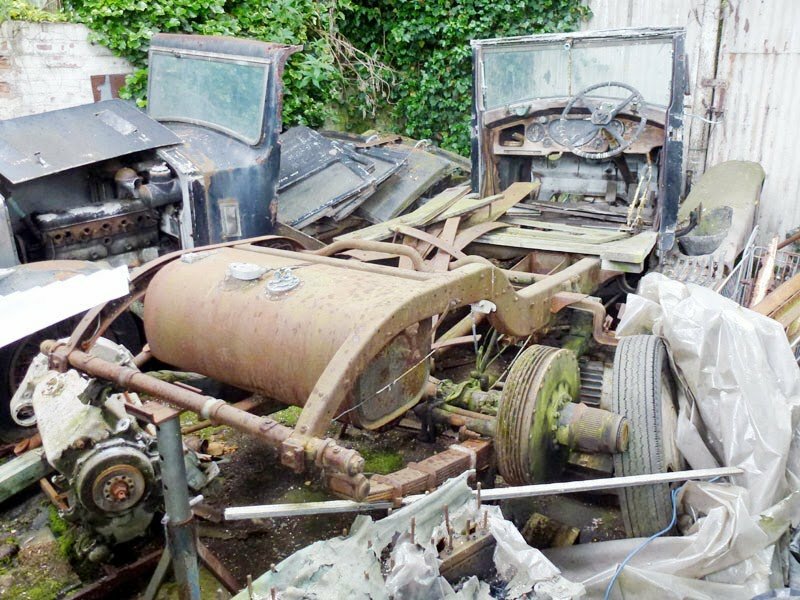 This is not what you see every day. 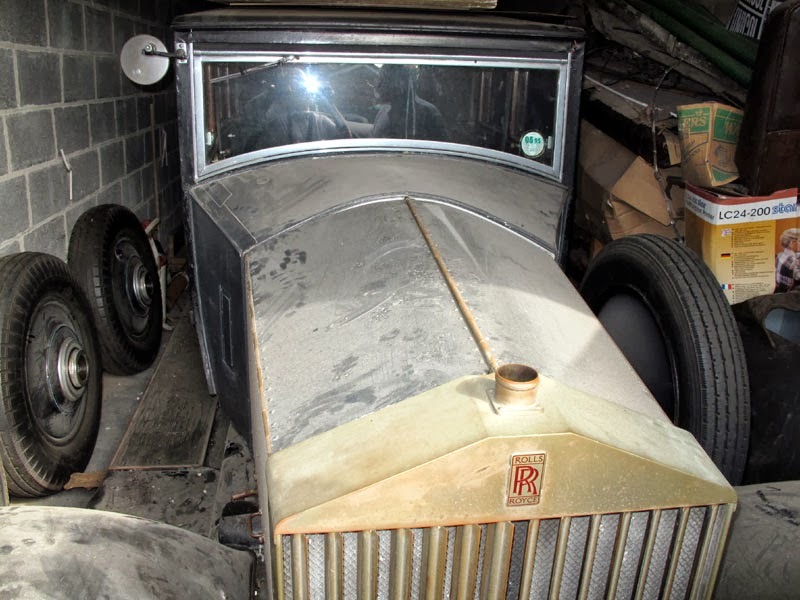 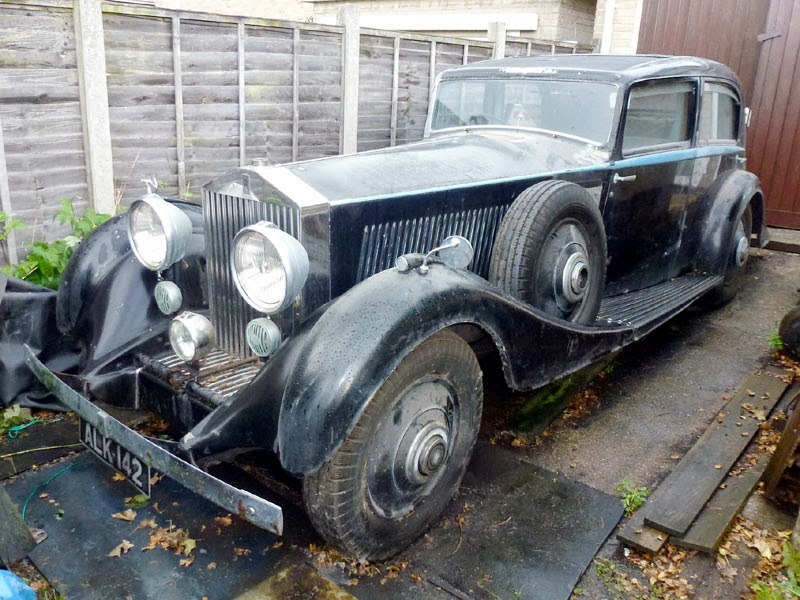 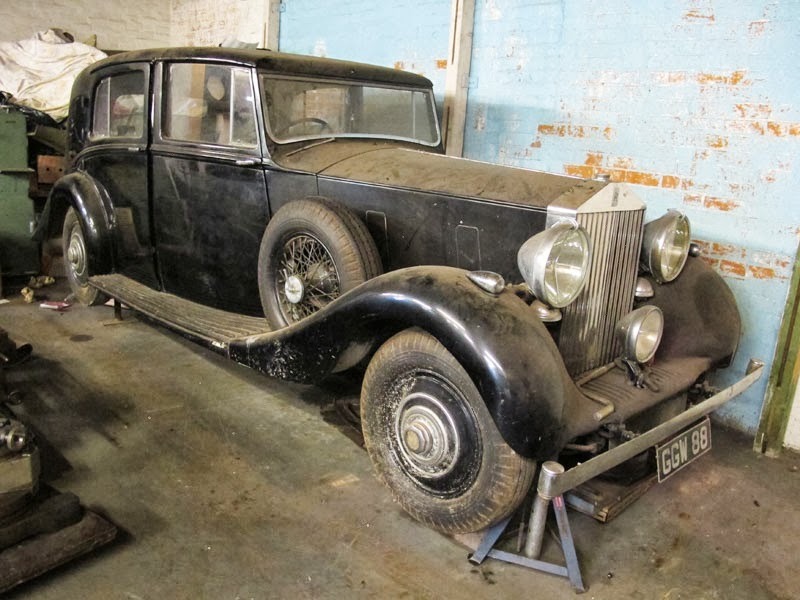 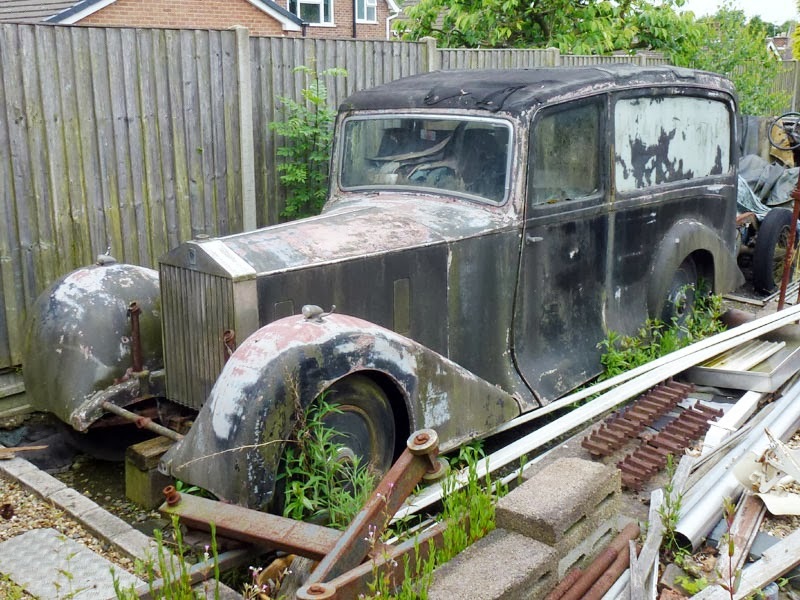 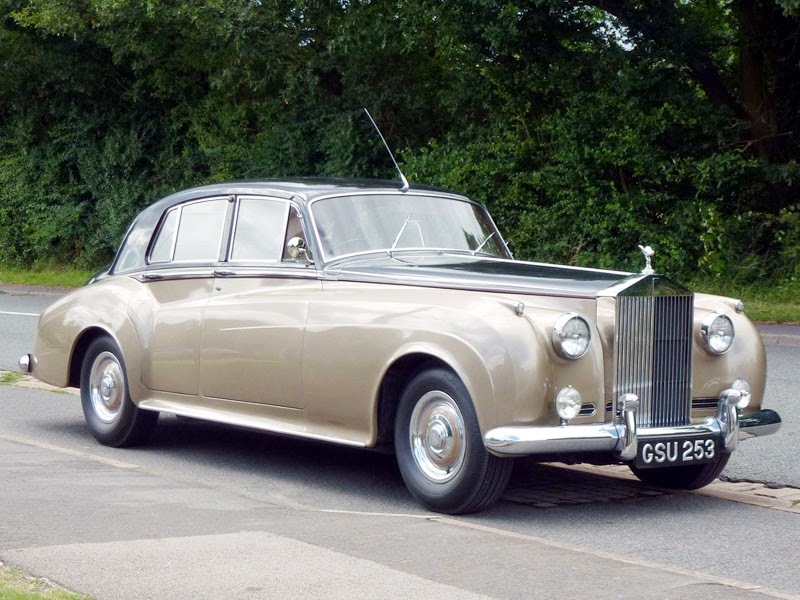 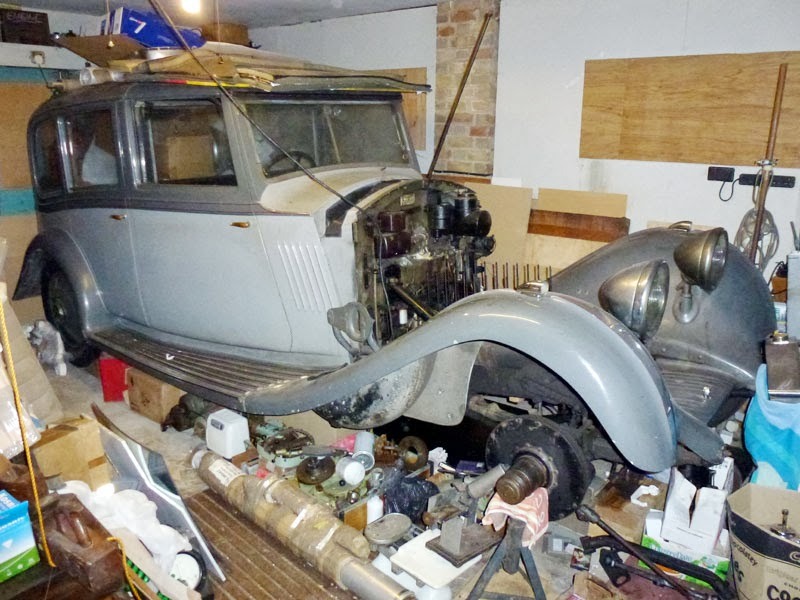 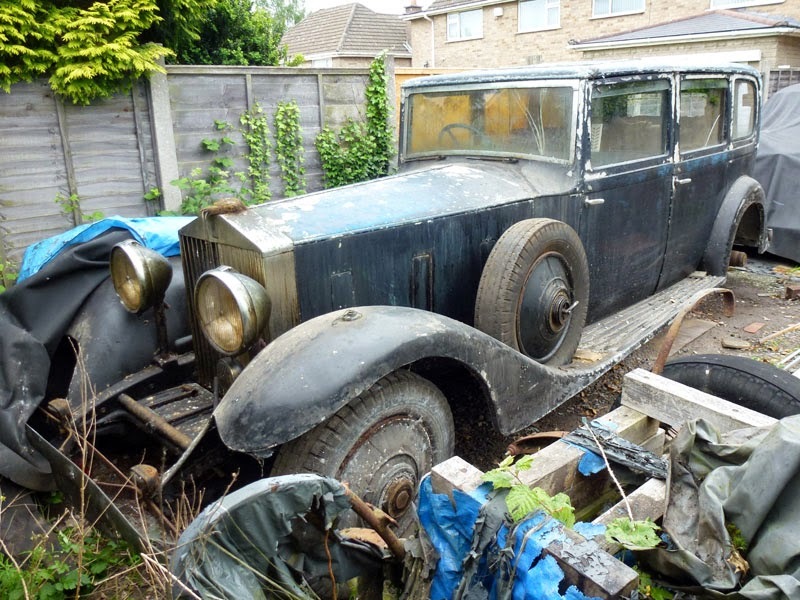 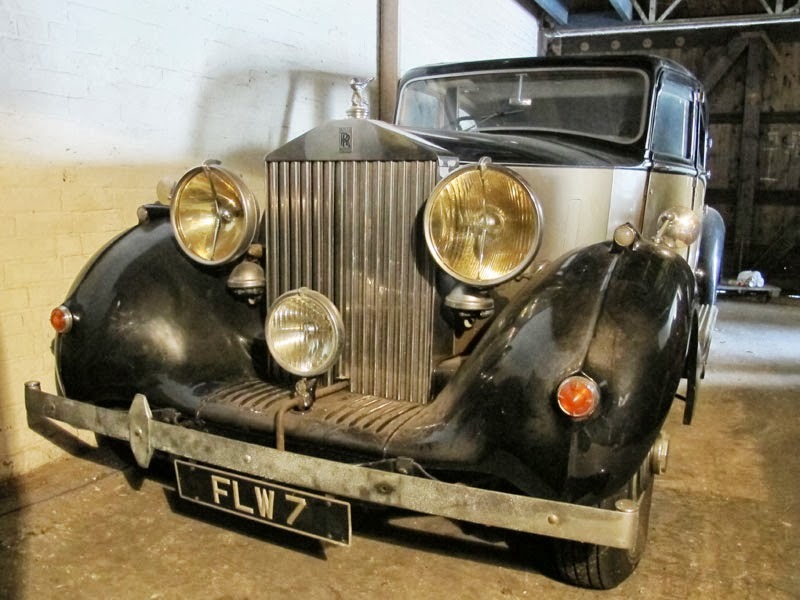 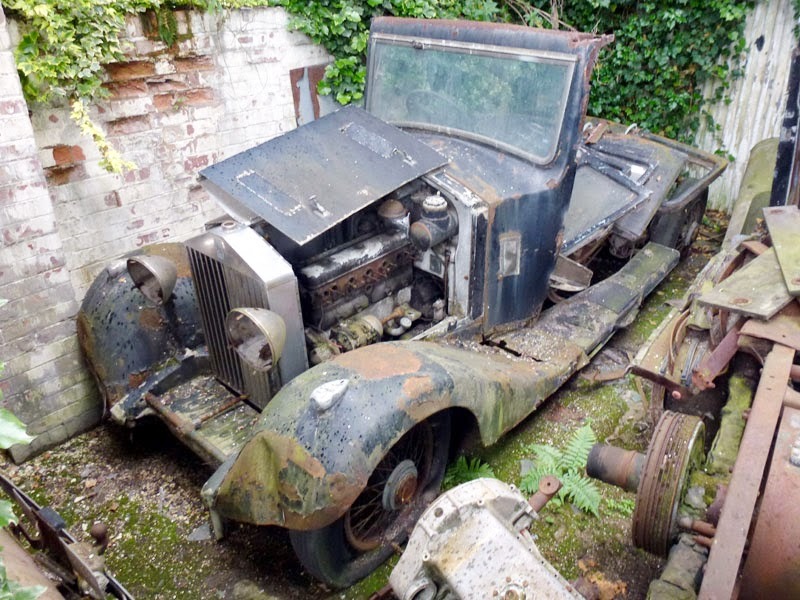 A collection of 13 Rolls-Royce and Bentley motorcars 'which have lain dormant in a small town garage for umpteen years' are going to be auctioned off. 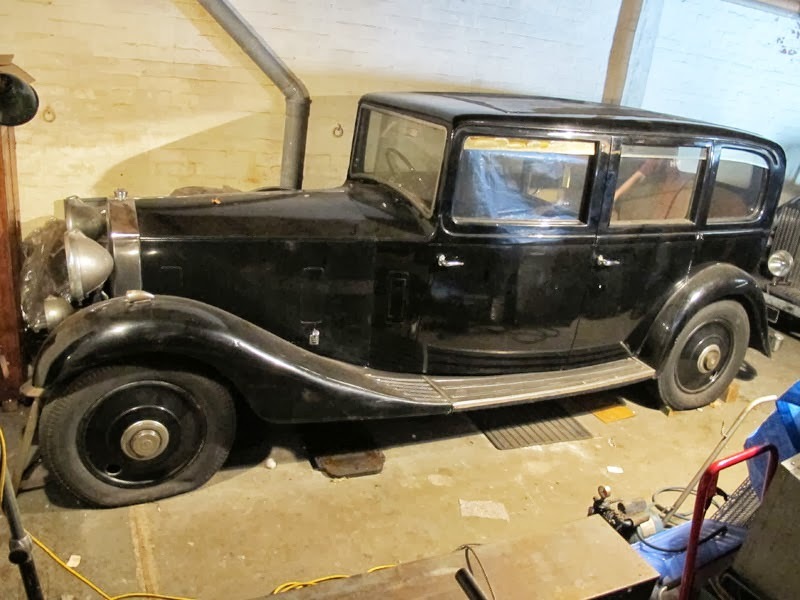 H&H Classic Auctions will hold the auction on the 16/10/2013 at the Imperial War Museum, in Duxford. 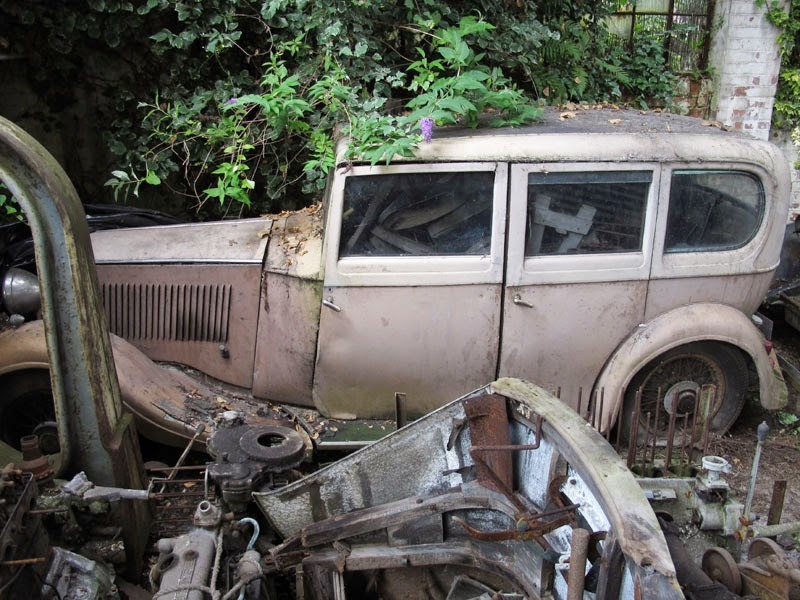 The 'Garage' also included a yard out the back and some tarps. 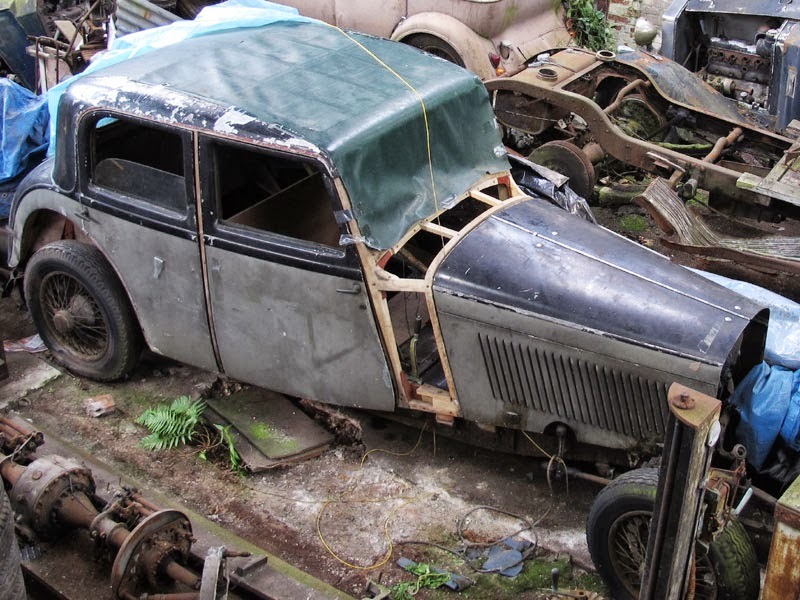 So as you can imagine not all come with MOTs.